Input is a crucial factor when learning a foreign language. I’m not an input-only fanatic, but I do think that a large number of common problems can be solved simply by listening and reading more. That way, we can slowly build a feel for the language and learn grammar and vocabulary usage. In other words, we acquire the language by being exposed to it rather than by studying it directly. Naturally, these are not mutually exclusive, but this challenge is about reading. The four skills of reading, listening, writing, and speaking ought to be viewed in that order, because each one feeds the next. You can’t say what you don’t know, and reading is much easier to learn words from than listening. The large quantity of exposure helps the learner to think in the target language, which in turn improves output abilities. Many case studies have firmly established the effectiveness of this method. For more details, read Rob Waring’s The Inescapable Case for Extensive Reading, or follow some of the links from www.extensivereading.net. I’ve written extensively about listening ability already (there is an entire series of articles about listening ability), but I haven’t written that much about reading. This is strange considering that I like reading myself and attribute most of my English ability to being an avid reader. It’s time to change that with a reading challenge! Personally, I don’t care much for competing against others and I prefer to regard this challenge as a personal challenge. I prefer to see other people in the challenge as fellow travellers who cooperate to reach similar but yet different destinations. In the future, I plan to develop my own challenge system here on Hacking Chinese, but for now, we’ll have to use what’s available. The challenge will run from January 1st 2014 to January 31st 2014. Important: Anyone can join! You don’t need to be at a level where you can read novels. It might take you longer to read ten pages than it takes me to read 1000, but that doesn’t matter. This is a challenge, not a competition! Join the Tadoku challenge – This is the easiest option, but you need a Twitter account to participate. You register, set a goal for the challenge and then report your progress either through a web interface or using Twitter. Tadoku counts pages, which is a bit awkward in my opinion, but the goal here is to increase the amount of Chinese you read, not to arrange a formal competition. Join by leaving a comment to this article – This second option is for those of you who can’t or don’t want to use Twitter. It would be too chaotic to report daily progress, so instead I want people who sign up to first leave a comment stating their goal (number of pages) and then post updates once a week, including what you have read and what your goal was. Regardless of which option you choose, I suggest that you also make your commitment public, either on social media or on your own website. To set an example, my own goal for January is to read 1000 pages. I have participated in one Tadoku challenge earlier this year with the same goal and I think it’s a reasonable number of pages to read in my situation. If you want to follow my progress, you can check my account here. How many pages should I read? The important thing when setting goals is to be realistic. How much time do you think you can devote per day? How much can you read in that time? Make an educated guess and go for it. The goal is to read as much as possible, so being realistic is important (aiming too low and you might read less that you could, aiming too high might mean that you give up because it feels impossible). Reading 1000 pages would take about one hour per day for me, which should be possible. Only you know what’s suitable for you,though. What counts as a page anyway? Since the goal is set in the form of a number of pages, the obvious question is: What is a page? What happens if you read less than one page at a time? What if you read comics? Newspapers? Websites? Now, this is assuming that “longer texts” means novels, which is probably not always the case. A novel usually has around 400 characters per page, but (printed) newspapers might have several times that amount and books for a younger or foreign audience might have much, much less. This competition is against yourself so you decide how detailed you want to be. If you want to recalculate what you read according to the standard of 400 characters per page, by all means do so, but if you just want to report number of pages directly, do that. The goal in this challenge is to read a lot, so if you spend most of your time using dictionaries, you need to either change your strategy or find something easier to read. 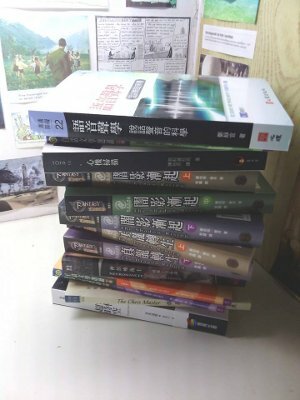 I also to suggest you read this article for a general discussion about reading in Chinese: Approaches to reading in Chinese. In case you do need a dictionary, this article contains everything you need. 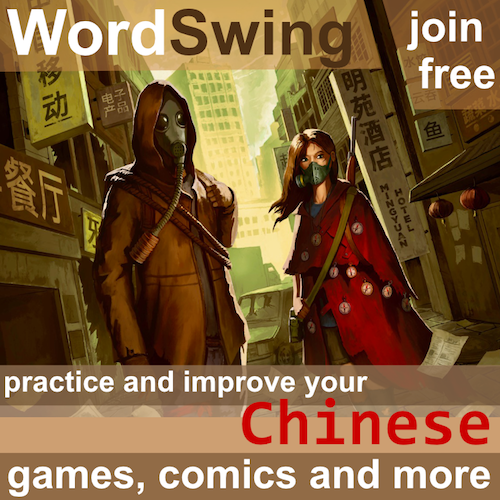 How can I increase the amount of Chinese I read? The last point is crucial. 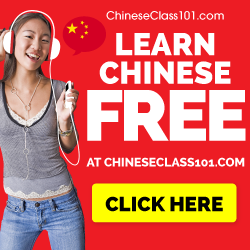 It’s very hard for foreign language learners like us to binge on Chinese reading, especially if we are beginner or intermediate students, so creating habits where we steadily increase the number of pages we read is essential. This is also why I think having regular updates is a good idea. *When I say translated novels, I mean that you should take a novel you are already familiar with in English and read the Chinese translation. I think this is the best way of easing yourself into reading novels in Chinese. If you try to read random modern Chinese novel, it will most likely be too hard. Why not help each other, though? If you find something interesting to read which is freely available online, please post a link to it in the comments, along with which level it’s suitable for and I will add it to the list below. I have merely added a few links, so I really need your help. The challenge starts next Wednesday, so you should have time to find something to get you started. If you find something online, don’t forget to share it with the rest of us! New years challenge. I will do it. Of the novels available at the website, I’ve only read 功夫 and 愛情，兩好三壞. I like the story of 功夫 more, but 愛情，兩好三壞 is easier to read. I would rate 愛情，兩好三壞 as upper-intermediate and above. – I think the question of whether listening or reading is more important can only be decided on a case-by-case basis. An extreme example would be my father. If he decided to start studying Chinese, reading ability would definitely be more important than listening. Why? Because he’s experiencing progressive hearing loss, and his *English* listening ability is declining every year. I tried to talk to him on the phone the other day, and I gave up because he could only understand about 20% of what I was saying. – I think this is obvious, but it’s probably not obvious to everyone: you can read and exercise at the same time. This is pretty straight forward if you can use gym equipment, such as a running machine, but it’s not necessary. I actually read The Disposessed while walking around a jogging track (that was a long time ago). – This kind of activity can be a major boost to reading ability, and an even bigger boost for confidence. About two years ago, I spent 90 hours over 25 days reading a certain book in Chinese (the 90 hours only includes reading time, it doesn’t include time I checked dictionaries, made Anki cards, etc.) It was definitely a turning point in my Chinese reading ability. I agree with what you say in general, Sara, but I’m only going to comment on the last bit. When I design my own challenge in the future, it will definitely use time as a yard stick. Then it can actually be real competition! An intermediate reader can’t read half a million characters in a month, it would take ten hours a day, but everybody, regardless of level, can spend an hour or two every day. Also, reading X pages might be very easy for you, but reading X/10 could be ten times harder for another learner. This is why I stress that this is a challenge and not a competition. Competing is meaningless unless you have roughly the same background as the people you compete against, or at least the same basic reading ability. So, yes, I agree 100%, I just don’t have the means to implement it yet! I also added your Giddens link to both the intermediate and advanced sections, thank you! Actually, I think even if the measure is time, 1 hour for a beginner is not the equivalent of 1 hour for an advanced student. For example, when I had my own 90hr/25 day marathon, I was only able to read for 20 minutes without taking a break. After the first day, my brain felt like it was going to explode, and I wasn’t sure if I could carry through with the challenge. If I were to read the same material now, I could probably read three hours straight without feeling any mental fatigue. As you’ve written before in your articles about time management, we only have so much time per day which we can dedicate to mentally intense activities. My reading level is high enough that I can do most of my reading during my ‘down’ time, but this would not have worked when I was a beginner. 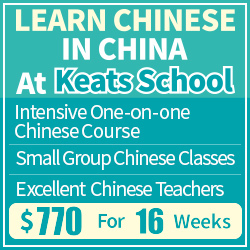 Thus, beginners in a sense have less available time for reading Chinese than advanced students. Of course, by the end of the 90hr/25 day challenge, I was able to read for much longer than 20 minutes, and I had much less mental fatigue after a reading session, so going through a challenge such as this is an excellent way of increasing one’s ‘reading stamina’ in whatever language is chosen. Of course, if beginners who takes on this challenge really needs to do reading in their ‘down’ time because they don’t have enough time when they can muster their full mental capacities, they can re-read material (even for beginners, re-reading is less intense than reading fresh material). Agreed, but it still the only way of coming anywhere close to something that can be compared, don’t you think? The Chinese text sampler is amazing! Can I join this exercise in February? I think the point about reading what you truly enjoy is very important. At Univ. (in the 1980s) I read Chinese books because I was interested in the language, but I didn’t particularly enjoy the content. So the incentive to read gradually waned. It’s only recently that I have found authors that I genuinely enjoy – 韩寒，余华， 六六 – basically stuff written in the last 20 years or so. I am interested to know of other authors and books that you and others enjoy. Well, the challenge is for January, mostly because the official Tadoku challenge is for January and I can’t keep either readers or myself focused on a certain activity for too long. However, there’s of course nothing that stops you from doing the same thing in February instead. I will try to come up with my own challenges in the future and that will come with added flexibility as well. Although I too believe that input is important I have started to place more importance on intensive input when I actually want to build my language abilities. Extensive input seems a better way to improve your listening or reading ability, yet a poor way (relatively speaking) of adding to your vocabulary and grammar store. I find that extensive input is a great way of reinforcing that which I already know, but not a great way of learning new language. Here is a blog post from Scott Thornbury which has some good points about over-relying on extensive reading. I agree partly with what you say. 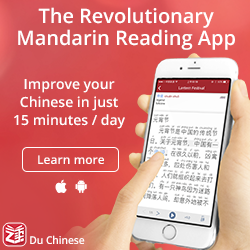 I think that both intensive and extensive reading have their uses in foreign language acquisition, but I think most people who study Chinese already do lots of intensive reading (that’s what almost everyone does in class, for instance), so I don’t think it needs to be encouraged as much. Also, regarding the effectiveness of extensive reading, my current English ability is mostly built on extensive reading and explicit practice (writing articles like this one, for instance). I’ve done almost no intensive reading in English for the past ten years. This is of course not meant to prove anything, it’s merely an example of how intensive reading isn’t necessarily important for advanced learners. Still, I agree with what you say in general, I just think the case for extensive reading is talked about less often and therefore deserves more attention. Haha, I only use extensive reading to maintain my English too, and my English isn’t declining. So I guess you’re right. My problem is that I think I switched my learning almost completely over to extensive reading quite early. I had been swayed by the input fanatics (Khatzumoto and Steve Kaufman) and thought for a while that my novel reading habits would transfer to my speaking ability. However, I definitely think it’s a valuable part of any study regimen as well as a relaxed and enjoyable way to study. OMG I just tried perapera for the first time! Thanks so much for mentioning this. There is a lot of reading materials at all levels at http://www.mandaread.com. Only simplified Chinese for now. We’re working on a mobile version as well – the Android version should be ready in about a month. Thanks, I have added Mandaread to the list of links! Actually, I have never used Twitter to report my progress, I always use the web interface. Sorry! Congrats for your impressive sprint, Olle! It’s been fun to watch your stats go up and up. And though I’d downgraded my own ambition level from 300 to 200 pages for January, I’m satisfied with my 248 page score – mostly from a single novel (鬼吹灯). Thanks again for the inspiration! I’m shooting for the same goal 1000 pages for the month in Chinese. I’ll definitely do this challenge! Thanks for all the great links! I’m not really sure how quickly I can read, but I know it’s not terribly slow but also not nearly fast enough to read 1000 pages. Since this challenge could be a “trial” run for me since I’ve never really done a goal-oriented bunch of reading, I’ll say that my goal is 55 pages for the challenge. Yes I will do this challenge. I had set a goal for myself anyway to improve my conversation skills in Chinese so I believe that this challenge will be a great push. What goal did you set? How’s it going? Really enjoyed the article and it made me start thinking about my own language learning 🙂 At the moment I’m studying three languages all of which are at different stages so my goals will reflect this. Also in my reading I want to try to include as much listening as I can. Equally I would like to spend time noticing features about the texts and perhaps consolidate this in a discussion with my Italki friends or in writing. So I agree that there will be times where I am simply reading for enjoyment but there will also be times where I’m getting the most I can from the experience. In addition, I have other commitments to Kanji, Hanzi, grammar and vocabulary practice … that I need to work on. So my goals will accommodate this interest. The challenge is still there but I don’t want to forget or fall behind. So my challenge is to make an active effort to read throughout the week. That’s it. It isn’t my aim to set myself an unachievable amount of reading, leaving me feeling like a failure when I don’t meet my target. It is rather to secure an active (and hopefully enjoyable) reading habit. That is my goal. I do spend much more time reading basic Chinese, but I don’t count it: it’s for my students who are in beginning levels of Chinese. Reading at my own level requires more of a commitment since it feels less urgent. I know that the sporadic reading I have done has sped up my reading and thinking in Chinese, so I look forward to the growth I’ll experience from this. How’s it going so far? One week has already passed! Hmm, my previous comment didn’t post! It’s been good so far. I’m more than halfway through The Hobbit now, much more than at the pace I was before the challenge. Oops – now I see it. I posted in the wrong place last time. Sorry about that, Jonny in Beijing! Thanks for the challenge Olle. I am going to take part, and i am setting myself the relatively modest target of reading 80 pages. I started reading the translation of Animal Farm in October having read one of your articles on the benefits of extensive reading, but i have only read 35 pages so far. If i can complete the 80 pages then i will have finished the book, which will be my first proper novel read in Chinese. How’s it going so far? Time to update! Right – here’s my week’s update two weeks later… keeping up well with 20 min/day! I’ve definitely made progress in The Hobbit because of the challenge and am more than halfway through. As you mentioned elsewhere, once you get some of the special (new to me, like wizard & terms related to mountains and caves) terms used often, feels like so little new vocabulary that it’s smooth reading and fun. I’m also usually catching a few minutes reading something to prepare for classes I teach (so simpler Chinese, but I count it – it’s getting me thinking in someone else’s Chinese than my own thoughts). I finished my 80 pages this morning. I had got behind fairly quickly early on in the month, but because i had made a public commitment, i made a bit of an effort to catch up, and then I started enjoying the reading so it wasn’t much of an effort after all. Thanks for the encouragement to take part in the challenge. Great, well done! I finished my reading today as well, just in time. I also find that a public commitment helps me to focus. OK let’s be bold, I’ll take up the challenge. 功夫 (following Sara K.’s recommendation). By the way I found joining the Tadoku challenge confusing, because I’m dumb that way. I think I finally figured it out. You sign up, enter Chinese, then the number of pages you plan to read in the month (300 in my case)(not sure why you say “Tadoku counts sentences”), and that’s all there is to it. How’s it going? I actually meant “Tadoku counts pages”, I don’t know why I wrote sentences. I found the interface quite straightforward, but have never tried the Twitter version (I do all my updates on the Tadoku website). I am committed to reading at least 2 pages every day. I am presently reading books about health and exercise issues, fundamentals of starting and running a business, and Zheng He Xia Xi Yang. My issue has been that I do not consistently read these books even though I am curious about the topics, and the vocab is not too terribly difficult; hence my interest in this pledge!! I just wanted to leave a comment saying I love your idea about a contest where time spent reading or listening is the yard stick. The language barrier itself can be an insidious thing to the 2nd language learner. People writing textbooks for the beginner just might not not have native proficentcy in the target language, may tend to cycle between copying what other did and being oddly creative about new trends in teaching and publishing. Meanwhile, mainstread texts for elementry, middle, and high school in the target lanuage are often ignore — even though this is some of the best material available to the learn the 2nd language. Reading in the begineer and intermediate stages without a phonetic indication of each character is an undue and unnecessary hardship. Taiwan publishes lots of material with the BPMF phonology right next to the character; while I am uncertain what Mainland Chinese do to aid the young to get the right pronunciation. English native speakers tend to read phonetically, and so it just seems to make more sense to me to read material that includes the phonology rather than to leave the reader to look up all and everything in a dictionary to verify right or wrong. Many characters have two pronunciations with different meanings, so the cues are important. Personally, I dislike a lot of generalizations about the Four Skills. Too often they are thought of as equal in importance and should uniformily be taught from the beginning. A Two Inputs model would be a much better pedagogy. The new learner can easily spend the first six months to a year just acquiring the aural skills necessary for hearing and producing conversation, thus having a strong foundation in communication. Reading is the second input, but reading doesn’t require or leaded to equal competence in prodcution of writing. I know lots of native English speakers that are poor writers, and I suspect the situation is univeral to all languages. So forget this Four Skills idealization. It is really Three Skills and One Art. Writing is an art that progresses over the learners lifetime — ever evolvingand every able to improve. Seems the stars are aligning as this is the year I hit reading hard. Great, thanks for the recommendation, will share! Also, good luck with your reading! Just following up with my progress in the challenge. I’ve found that having a focused approach to reading takes me quite a while, so I’ve only been able to read a maximum of 2 pages per day. That being said, I’ve read 6 pages so far. I’m going to re-adjust my goal to 30 pages instead of my original 55. If I were just reading through the pages once, I could definitely achieve 55 pages, but I really want to do a modified version of the reading approach your guest author wrote about in her article “Approaches for Reading Chinese” so that I can get more out of the reading I complete. Progress update: I’m up to 17 pages read. I decided to stop doing so much studying and just do more reading. It’s definitely better that way, and more fun too. In that case, the minimum goal for the challenge will be 30 pages, and the maximum goal will be my original 55 pages. How’s it going? Just a few hours left! I consider myself to be in the intermediate stage when it comes to reading (probably more in the beginner stage with regards to listening/speaking though…) and I found that it helps to read non-fiction children’s books since the language is normally pretty simple (i.e. some specialist vocab is used depending on the topic, but sentence structures are kept simple) and the topics are pretty interesting. Another book that I really enjoyed was 女生日记 by 杨红缨 (even though I could only understand like half of it) but that book is probably targeted more towards teenage girls (which I am 🙂 ). I find it so cool that a lot of advices that you give, I thought about as well while learning. Not all, but some. And the other advices I totally agree with too. I have been setting up some goals for 3 years, trying hard to find goals which are relevant, challenging and focused into the right things. For this year (2017) my goal was to read 1 book per month. 12 months, 12 books. Starting January, I just finished my very first book, which took me 3 months to read. So I thought that was going to be incredibly difficult. But as usual, setting up goals help so much. Reading 8 to 10 pages per day, I was able to finish my first book within the month. Now in June, I already read a book in 15 days, so I am starting to feel that the original goal is now too low, and I’m going to make a mid-year goal planning again. At the same time, I have increased the difficulty of the books that I read, and I am choosing books with more pages as well. At my level, I think setting up goals in terms of number of books / months is a good metric. Setting up daily goals is good too (I target 10 to 20 pages per day now), but it also depends a lot on every day. There are days I only have time to read 10, whereas some days I can read 20. I also keep track of how many new words I learn per week. Using Pleco. My average in the last 3 years is 70 words per week, which is probably good, but not amazing. But the goal itself is not to add more words to Pleco, rather it is to keep reading more, and adding new words to Pleco is just a consequence of reading more.